We are a leading Manufacturer of stainless steel 304 grade plate, uns s30400 plates, ss 304 en 1.4301 plates and jis sus 304 tp plates from Mumbai, India. We are exporting wide range of Stainless Steel 304 Grade UNS S30400 Plate that is fabricated from high quality material raw material. Further our range of Stainless Steel 304 Grade UNS S30400 Plate is widely acknowledge for their high durability and sturdy construction. Stainless Steel 304 Grade UNS S30400 Plate handles are also appreciated for their elegant designs & dimension accuracy which has led to an increase in its demand in the hardware industry. Available in various specification. Stainless Steel 304 Grade UNS S30400 Plate can also be custom made as per client required. Sheet, Plate, Coils, Flat, Strips, Circle, etc. Fabrication: Fabrication of all stainless steels should be done only with tools dedicated to stainless steel materials. Tooling and work surfaces must be thoroughly cleaned before use. These precautions are necessary to avoid cross contamination of stainless steel by easily corroded metals that may discolour the surface of the fabricated product. Our company is one of the biggest manufacturer and supplier of 304 stainless steel plate. For the 304 stainless steel plate, we guarantee the quality and ensure that the price is attractive. For the cold rolled 304 stainless steel plate, the thickness we have: 0.3mm, 0.4mm, 0.5mm, 0.6mm, 0.7mm, 0.8mm, 0.9mm, 1.0mm, 1.2mm, 1.5mm, 2.0mm, 2.5mm, 3.0mm. For the hot rolled 304 stainless steel plate, the thickness we have: 3.0mm, 4.0mm, 5.0mm, 6.0mm, 8.0mm, 10.0mm, 12.0mm, 14.0mm, 16.00mm, 20.00mm and so on. For the thickness above 20.00mm, we can manufacture for you, the max thickness of 304 stainless steel plate we can produce for you is 100.00mm. 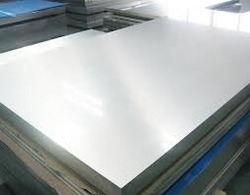 Type Stainless steel plate /sheet. Application range Foodstuff, gas, metallurgy, biology, electron, chemical, petroleum, boiler, nuclear energy Medical equipment, fertilizer, etc. 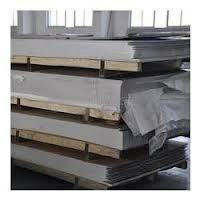 Looking for Stainless Steel 304 Plates ?